As demographers chronicle the aging of America, they are regularly uncovering information that runs counter to conventional thought. 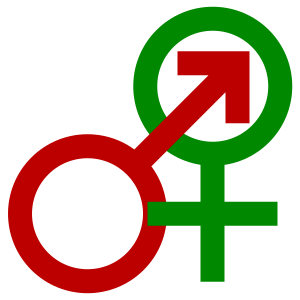 A study commissioned by the National Institute on Aging six years ago reported 39% of men and 17% of women between ages 75 and 85 were sexually active. All senior living communities have a written policy regarding sexual relations between residents. The more pressing issue is making sure staff members know what the policy is. Mutual consent is the most important criteria for handling a newly discovered relationship in a senior care community (as it does in the outside world). If there’s a question about the mental capacity of either adult, state laws require an inquiry. Laws are in place in every state for protecting dementia patients from sexual abuse; suspected abuse calls for a thorough investigation by the appropriate personnel. This paper explains the difficult task of monitoring sexual expression in dementia patients. The older resident not affected by dementia has more leeway today for beginning an intimate relationship. The Center for Practical Bioethics suggests using what it calls the Resident Assessment Instrument Process (RAI Process) for determining the level of monitoring a consensual relationship between two seniors requires. They affirm both intimate and sexual relationships for residents w caveats. Most communities will have knowledge about a resident’s prior life and relationship history based on what they disclose during the interview. They will know the resident’s marital status, who their children are, religious affiliations, etc. There is a greater acceptance today of communities not interfering in a resident’s personal life even when aware of their ties and obligations. This often upsets family members who expect the home to uphold their moral standards.